Research (and who doesn’t love research) shows that new parents in the UK drive an average of 1,322 miles per year to get their babies to sleep. Fathers admitted that they end up driving an average of 1,827 miles in the first year of their child’s life to get them to sleep. Over half of “all” parents admit that they used their cars as a “drop-off-to-sleep” vehicle at east once a week, with the average drive lasting 30 minutes. You can bet there were a few late-night drive-thru visits during those excursions. According to the embedded video below, elsewhere in America parents are driving their babies around until they fall asleep. But in Brooklyn, NY, where people have a lot of babies but don’t have the same access to personal cars, the babies (and parents) are losing sleep. 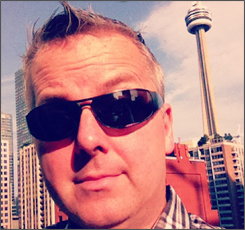 Enter Luvs #LullabyLift. 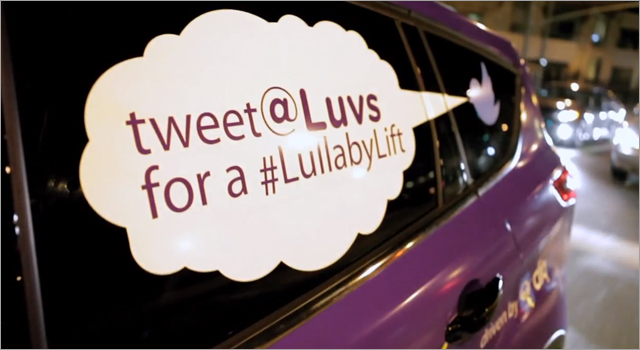 On the evenings of October 10 and 11 exhausted parents in Brooklyn, NY were invited to tweet to @Luvs with the hashtag #lullabylift, and Luvs would dispatch a special state-of-the-art Sleep Utility Vehicles, which was basically an Luvs-branded SUV from Cliqcar, a New York based car service. At the end of the ride, which were set to last 20 minutes, parents received packages of new Luvs with Nightlock. The campaign was created by Saatchi New York.